This 3D animation shows the handsetting mechanism of the watch movement 6497-1. Setting – By pulling the crown, the time can be adjusted. Calibre Unitas 6497-1 is produced by ETA SA (Swatch Group). 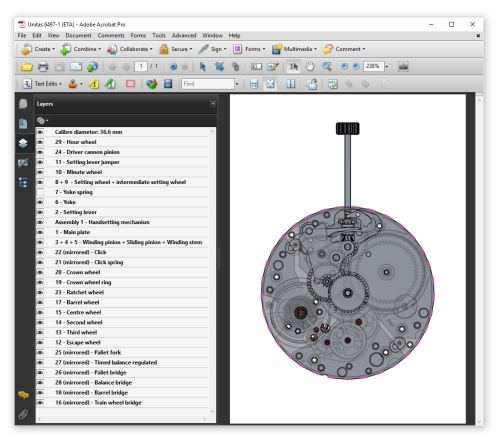 Calibre 6497-1 is found in many mechanical watches. 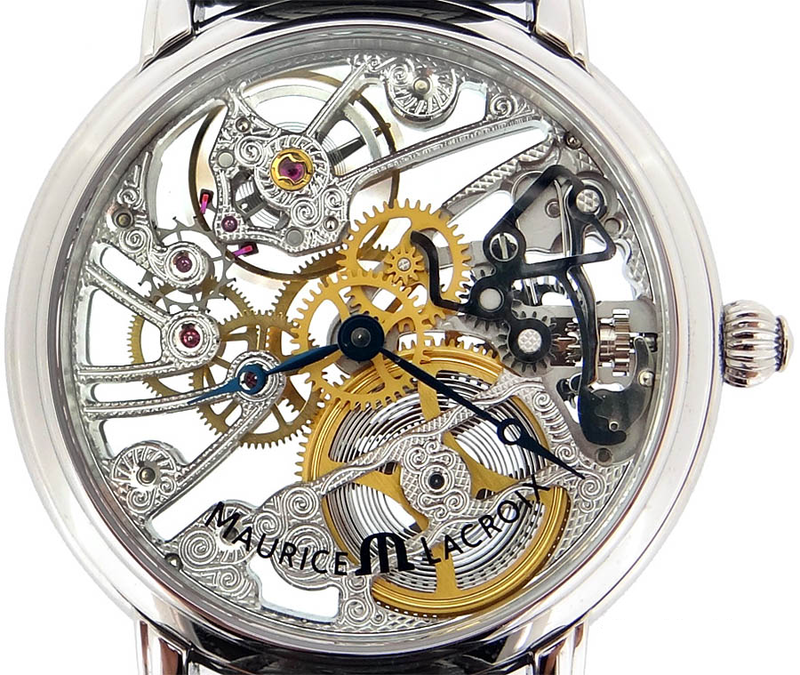 For example it can be found in this skeleton watch movement designed by Maurice Lacroix.